Innovative formula cleans and brightens. 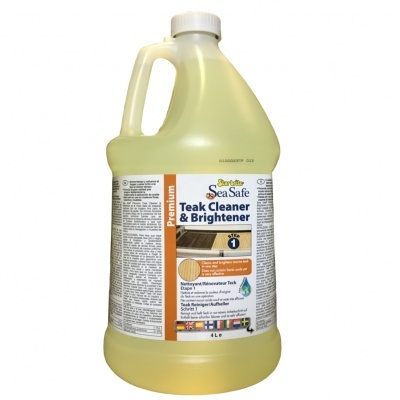 Sea Safe Premium Teak Cleaner & Brightener is the ideal way to prepare all fine woods for oiling. The formula works very effectively without using the harsh chemicals found in many traditional cleaning agents that can harm the environment. It is safe for use on all marine woods and on indoor furniture, too. 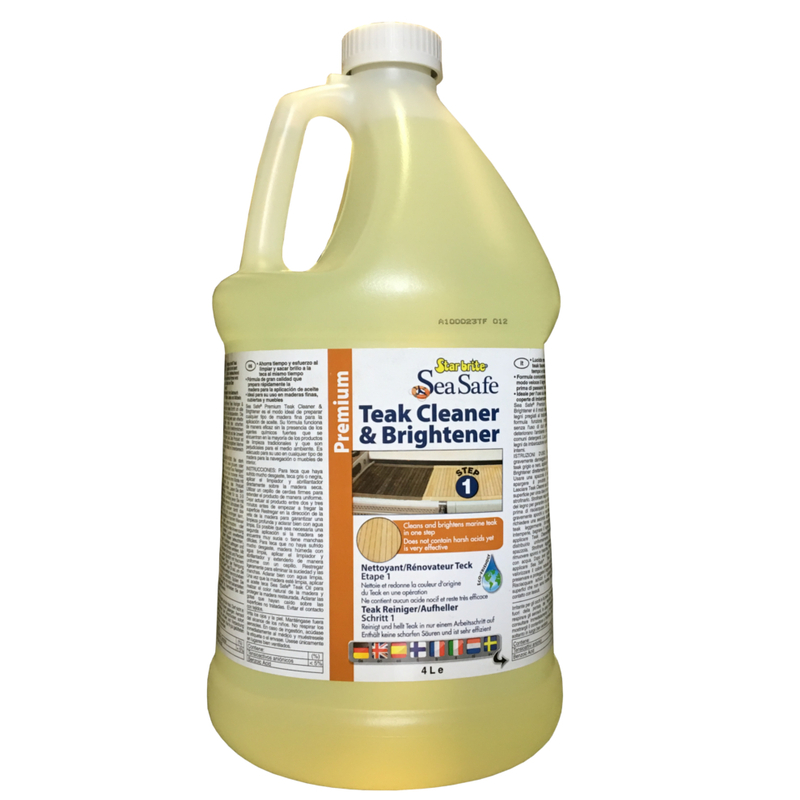 Innovative formula cleans and brightens; combines two steps in one to save time and effort. The fastest way to prepare wood for oiling. Unique biodegradable bottle helps reduce landfill overcrowding.